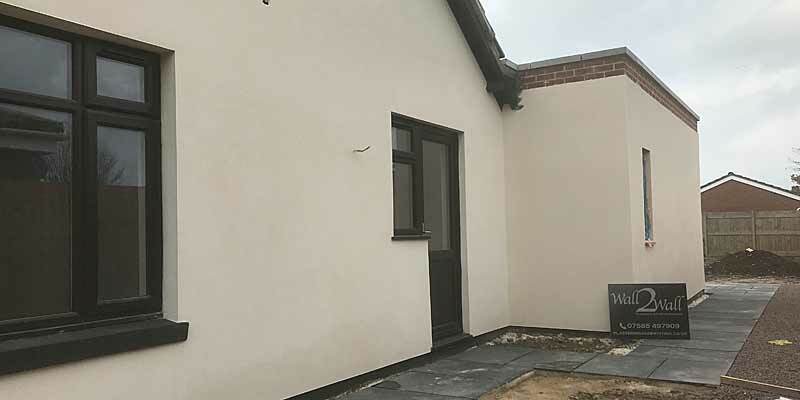 An established plastering and rendering company based in Gosport serving an area that also includes Fareham, Portsmouth, Waterlooville, Southampton and other parts of Hampshire. 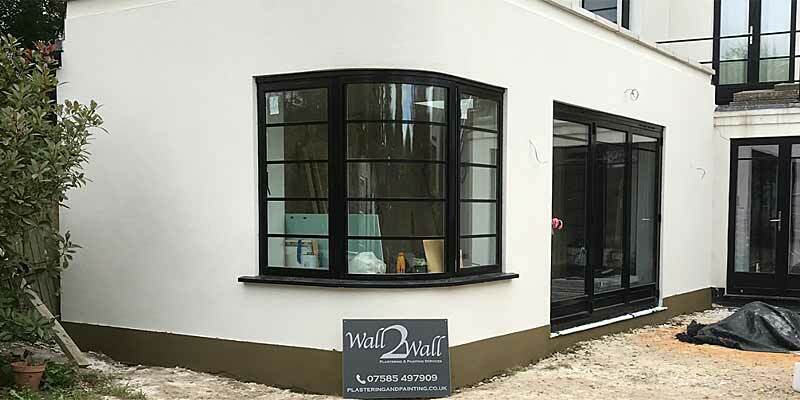 Wall2Wall is a local plastering company covering all aspects of plastering and screeding for the interior and exterior of domestic and commercial properties. We're also established painters and decorators providing a consistently high standard of decorating work from our base in Lee on the Solent and covering Hampshire. We're a one stop solution so that you can achieve the complete job with just one company instead of having to hire separate plasterers and decorators - saving you time and money. Our decorating service covers exterior and interior painting and decorating; timber treatment, rising damp treatment and much more. Walls Need Plastering and Rendering? We have the know-how AND the technology! 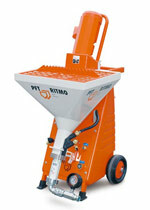 Where appropriate we use the latest machinery like the PFT Ritmo, illustrated here. Insurance Claims. If your property has been damaged - we also carry out insurance work. Marcus is happy to give free advice: * Plastering * Painting and Decorating * All aspects of rendering* Floor Screeding * And much more. Wall2Wall's plastering and decorating service extends across Southern Hampshire from Southampton to Fareham and East to Havant and Emsworth - and all points between. Please see our full work area. We're also fully equipped to handle any general building requirements. As builders we can offer a wide range of building and maintenance services. Always on time very polite and courteous. I would certainly use Wall 2 Wall in the future. Price quoted was price invoice. Happy customer..
"Skimmed bedroom walls and ceiling"
Fantastic work, this is the first time I have found a plasterer who is reliable, efficient, clean and tidy and very polite. I never need to look for another plasterer will use Marcus every time. I would highly recommend Wall 2 Wall Plastering and Painting Services. "Painted hallway, stairs and 2 bedrooms"
Very tidy and polite young man, excellent standard of work carried out, would definitely recommend the company. Feel free to contact me to discuss your needs and requirements, I am always happy to help. NO JOB TO BIG OR SMALL. Please get in touch for more information or a free quotation. This website and its content is copyright of Marcus Wall. All rights reserved.